Imperfect teeth are everywhere, including Hollywood. Whether they have dental implants or partial dentures placed, celebrities have dental work done to give them great smiles. Very few people are naturally blessed with perfectly straight and white teeth, but some of these A-listers have required a little extra work. America watched Miley grow up on her Disney channel show, Hannah Montana. 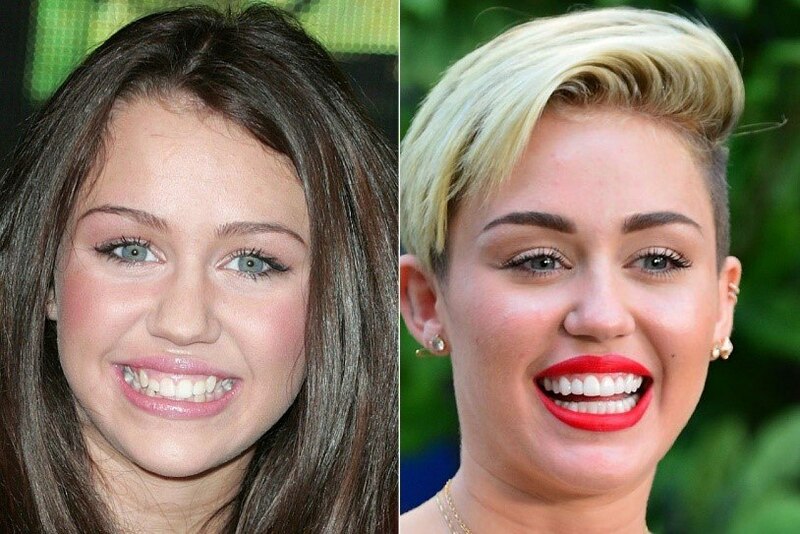 In the beginning seasons, Miley’s teeth were awkward with an uneven gum line, and unremarkable overall. As she got older and started to change her look and style, part of the image makeover included her teeth. color. The biggest change is that her canine teeth have been brought down and replaced. Now they are evenly placed with her upper row of teeth and less distracting to her overall appearance. 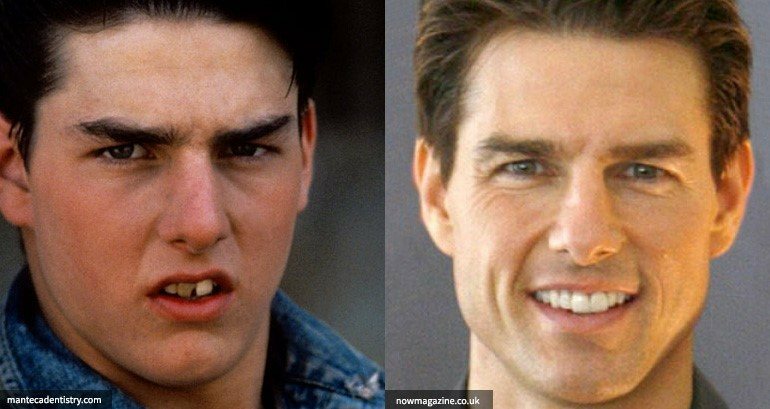 Before becoming one of America’s most eligible bachelors, Tom Cruise needed to fix up his teeth. With uneven sized teeth, discoloring, and spaces, his mouth was far from the super star smile he has today. He spent a large chunk of money to fix it up and has done his best to keep it up. As a child in Crawford, Mississippi, Jerry Rice grew up only going to the dentist if something went wrong. The poor dental care, ill-fitting mouth guards, and repeated hits playing football did a number on his teeth. While playing professional football, he started visiting the dentist more regularly and fixed up his chipped teeth. His million-dollar smile is made up of full crowns or caps, which are fake teeth constructed to look worthy of a successful person like Mr. Rice. Taking a picture is no struggle for this superstar because he knows his smile looks great. As a professional model, Kathy Ireland relies on her looks to earn a living. Kathy hasn’t always had a great smile though, and it’s all thanks for a wagon. Standing in a wagon in their driveway, she asked her husband to push her while she steered. During an over-correction, she ended up face down on the bricks with a broken nose and teeth. Her dentist used many veneers and implants to fix the damage to her teeth and restore her smile to its former glory. Some actors and actresses are so dedicated to their jobs, they will do anything. Nicholas Cage did not have a bad set of teeth per se, but for one movie role, he had some perfectly good teeth extracted. The result was very unattractive, but served its purpose. After filming was done, he wanted to have his teeth put back in and feel confident smiling once again. To achieve a full set of teeth, a lot of cosmetic work was required, including implants, veneers, and straightening. The transformation is dramatic, but well worth the effort to preserve his face structure and restore his professional appearance. If you are hoping to do your own smile reconstruction or want to just improve the overall appearance, give our office a call. Just because you aren’t on the cover of magazines doesn’t mean you don’t deserve a beautiful smile too.